QLIPP is the ultimate tennis performance sensor. It measures every part of your stroke, analyzing the spin, speed and sweet spot accuracy of each shot-- designed to improve your game with the most advanced analytics possible. And it can even wirelessly team with your smartphone to shoot video of your stroke. After each volley, you’ll gain insight into your stroke. And after each practice, you’ll know how to get better. 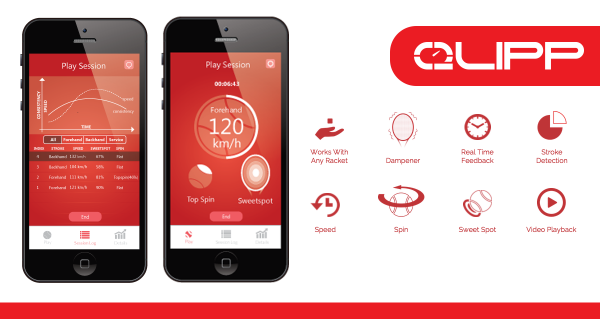 Whether you are a beginner or an advanced tennis player, QLIPP was made for you.